We enjoy giving monthly suggestions here on the blog, but only you can decide what exactly you want to achieve over the summer! 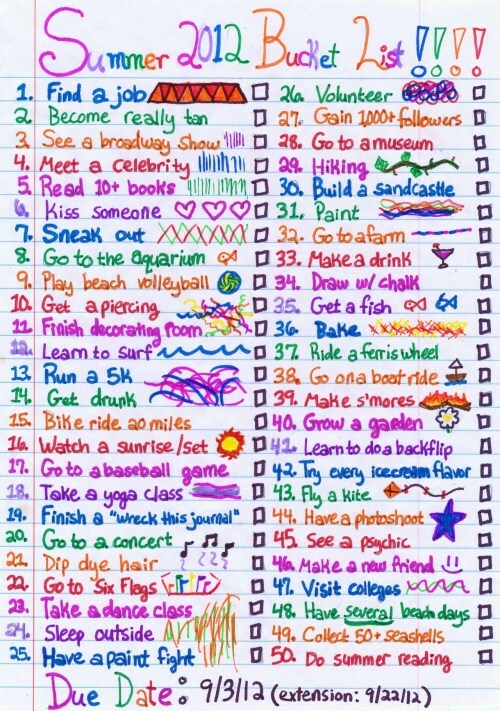 Half the fun of summer activities is the planning stage; if you're a fellow list person, go all out and handwrite an elaborate bucket list (complete with illustrations!) of all that you'd like to cram in over the next few months. It's the time of the season when festivals are in full force, and while Glastonbury might not be on your agenda this year, there's bound to be some sort of music/cultural festival happening in your vicinity that's worth checking out. Barbecues are all very well, but sometimes it's nice to introduce a bit of old-school formality into your life. Make this a slightly prim and proper, genteel affair at which everyone dresses up in frothy pastel frocks and dainty nibbles are served on delicate china plates. Sunday the 16th of June is Father's Day: the perfect opportunity to make a big fuss of your dad (or father figure). Whether his recreation of choice is golfing or hiking, or simply taking in a movie, celebrate in style! The 16th of June also happens to be Bloomsday--the day on which, in 1904, the events of James Joyce's Ulysses unfold in Dublin. If you're a big fan of the book (neither of us have read it), you can partake in the Joycean-themed events to be found in most cities worldwide. If #2 is not really your thing, you may be more in favour of partaking in World Sauntering Day, observed on the 19th of June; a day to simply take things easy, stroll around at your leisure, people watch, and soak up the summer vibes. June 21st, aka the Summer Solstice, officially marks the first day of summer. Weather permitting, it's the perfect occasion to perhaps organise #4 or #10. Some cities have year-round flea markets, but there is something so distinctly summery about wandering leisurely around one, admiring the random bric-a-brac and objets d'arts. Summer is also the perfect time for working on DIY projects, so be on the look-out for items that could be transformed with a few simple alterations or a lick of paint. 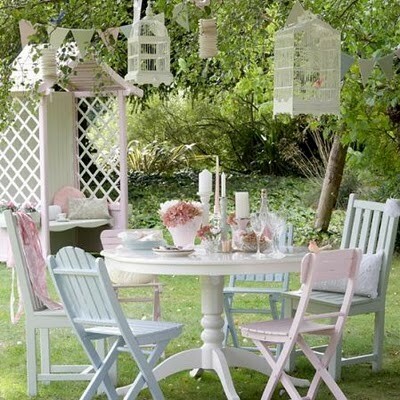 There are few things more enjoyable than dining outside on a sunny afternoon or balmy evening. Whether your location of choice is the patio of a favourite restaurant or your apartment balcony, enjoy this summery pastime however you see fit.